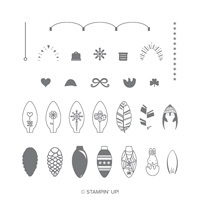 I’m sharing another fun card with this bundle from Stampin’ Up! 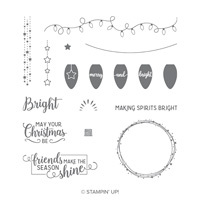 : Making Christmas Bright bundle including the Christmas Bulb Builder Punch and Making Christmas Bright Stamp Set. There are so many ways you can use this set; I would call it a must-have for the holiday season. You can see my previous card here. Today I paired it with the Christmas Pines stamp set which is one of my favorites in the Annual Catalog. To make this Christmas card bright, I used lots of color. Poppy Parade, Pineapple Punch, Granny Apple Green, Shaded Spruce and a little Basic Gray. To make the lightbulbs bright, I sponged each color with Sponge Daubers. Thanks for stopping by. I hope you enjoyed the card today. 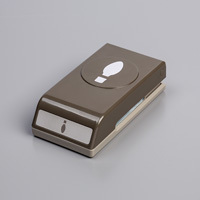 To see more inspiration and to play along with this week’s sketch, visit Global Design Project. I LOVE this card, Shawn! Brilliant idea to put that sentiment in a round ornament. I love the colors you worked with here. So festive, so fun!